GIRLS’ NIGHT OUT: Private-Readings Psychic Dinner–Our 9th! This just added! Aenigma Jewelry & Accessories is having a BOGO 50% OFF Sale on the ENTIRE STORE, JUST FOR US! Come at 5:30 PM to register, then shop at Aenigma and at our vendors, enjoy a light dinner complete with wine and get a personal psychic reading. Door prizes and Vendor Bingo Prizes, too! Spiritual Intuitive Dianne Marie is a highly acclaimed oracle, whose readings are accurate and guidance is astonishingly spot on. She will put you at ease from the moment you sit down with her. 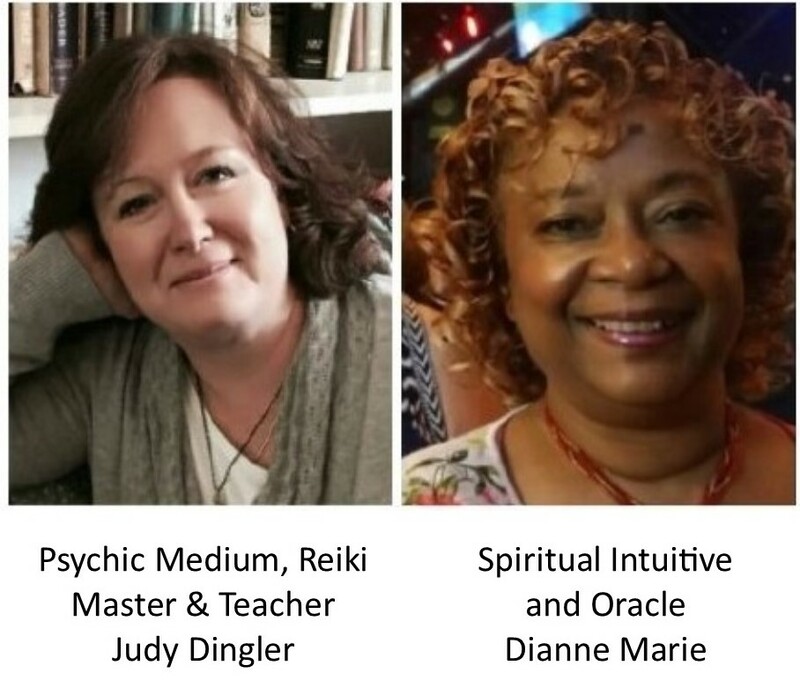 Psychic Medium Judy Dingler can help you with unanswered questions and important decisions that affect your career, finances and relationships. She can also help get you in touch with your loved ones who’ve crossed over. For Judy, these readings are effortless. She is THAT good. Judy and Dianne are two of the Top 5 Readers in South Jersey, and can help you achieve closure with loved ones who’ve passed. They also use their gifts to guide, elevate and empower their clients. Vendors & Vendor BINGO with Prizes! PLEASE NOTE: Guest and vendor tickets for this event are transferable only for this event. If you purchase a guest ticket and are unable to attend, you may give or sell your ticket to a friend. Vendors can also transfer their ticket for this event only, but must get written permission from Tobi for your substitute vendor. No refunds, no exceptions for guest or vendor tickets. Thank you for your understanding.